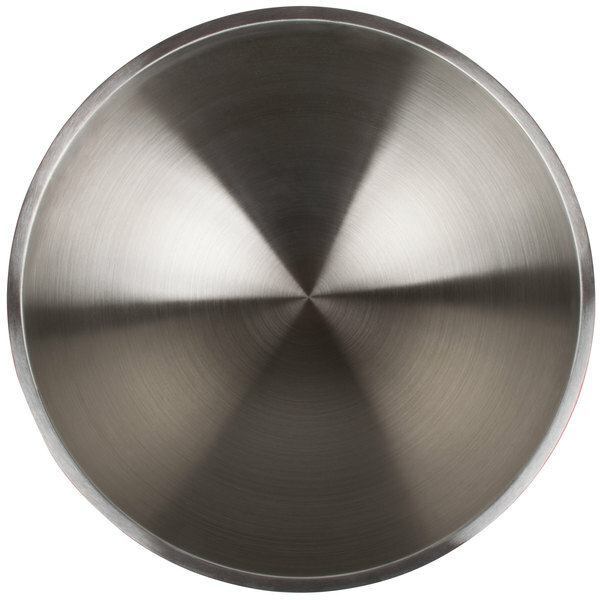 Serve warm cooked vegetables or chilled pasta salad with this Vollrath 4659215 6.9 qt. 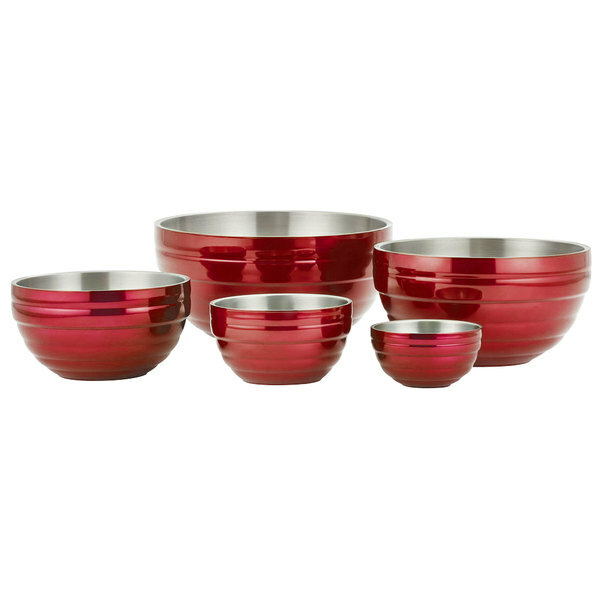 dazzle red double wall round beehive serving bowl. Made of heavy-duty, double wall insulated 18/8 stainless steel, it is designed to stand up to the daily rigors of any commercial setting. 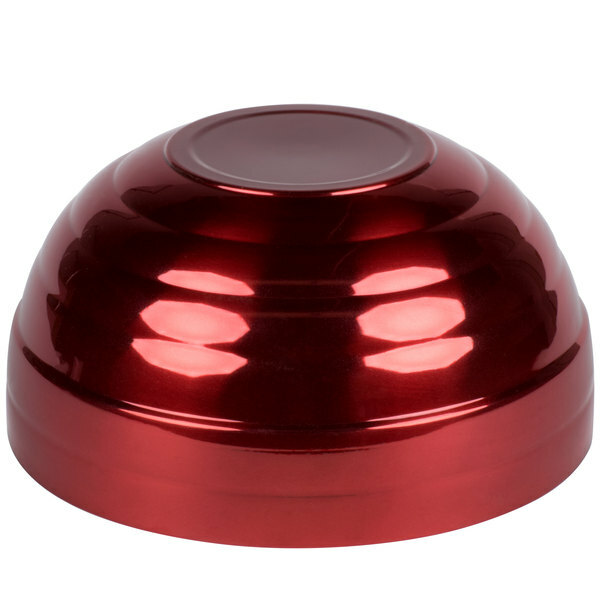 Both non-porous and non-corrosive, it resists scratches and limits flavor transfer to ensure each dish is served at its best! Perfect for both hot and cold foods, the air-insulated walls help maintain temperatures for up to 40 minutes without pre-heating or pre-chilling. 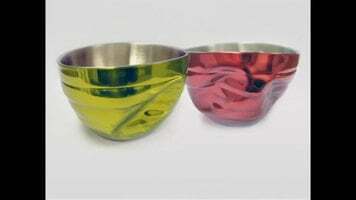 Plus, the bowl won't sweat as it reacts to changing ambient temperatures. 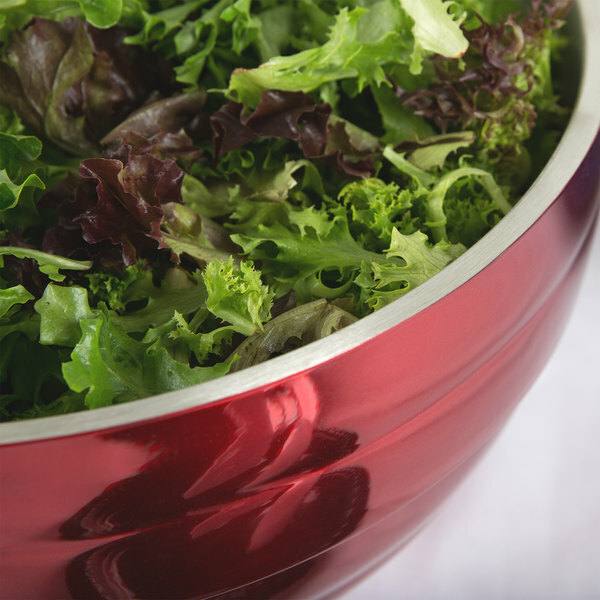 From fresh, leafy salads to piping hot mashed potatoes, this bowl ensures that your chef's vision is carried out every time. 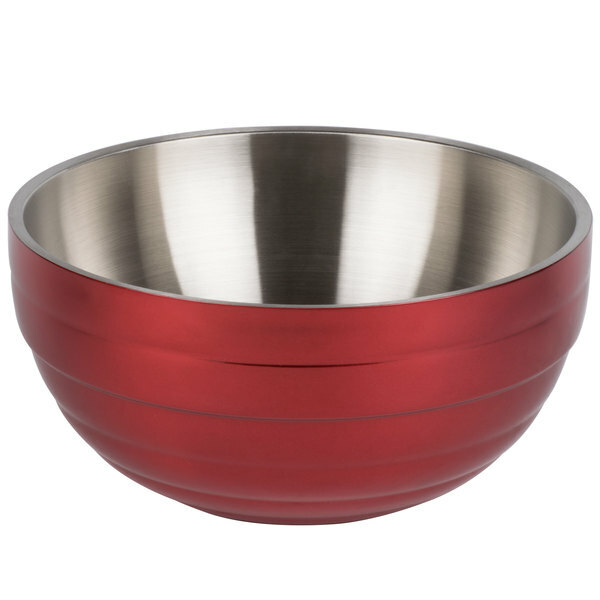 With its unique beehive texturing and chip-resistant, mirror-finish dazzle red exterior, this bowl boasts an eye-catching design that looks great on any table. 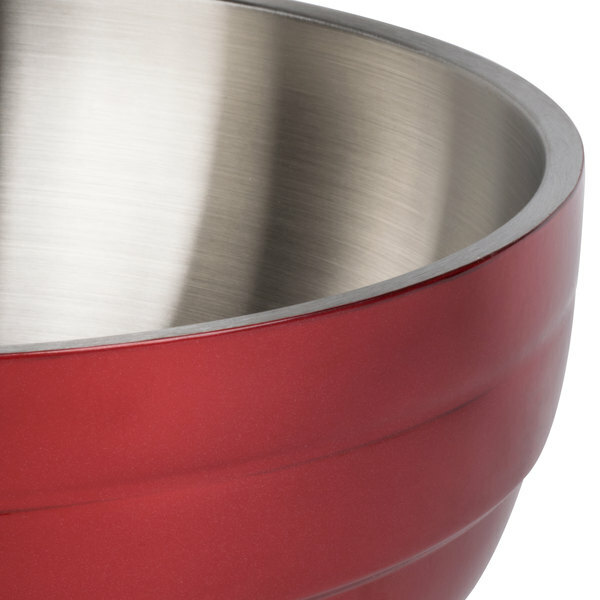 The satin interior finish helps hide scratches from serving spoons, tongs, and cleaning brushes. 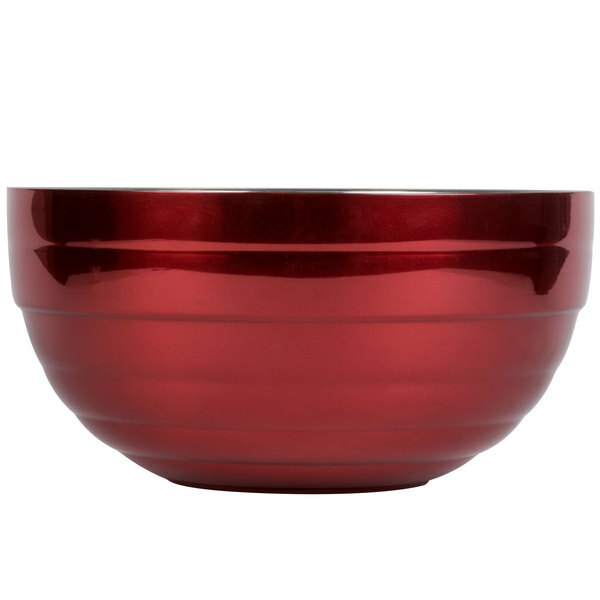 Ideal for buffet lines, salad bars, and family-style restaurants, this unique bowl enhances each dish for a stylish tabletop presentation.